What Is a Ball Marker in Golf? 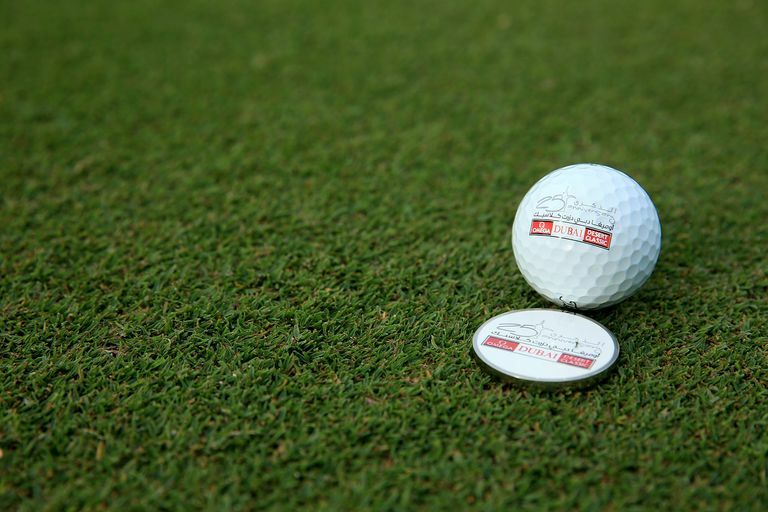 The term "ball marker" is most commonly used by golfers to denote a typically small, flat object that is used to mark the place on a putting green of a golf ball that has been lifted. 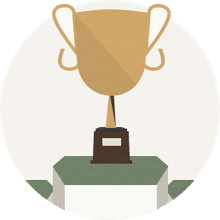 In recent years, another meaning of "ball marker" has gained wider usage, too, referring to any device that helps golfers add an identification mark, alignment stripe or just some type of decoration to a golf ball. This ball marker is a small, flat object used to mark the position of a golf ball when the ball is lifted on the putting green. The ball marker is placed directly behind the golf ball before the ball is lifted. The ball is then replaced directly in front of the ball marker, on its original spot. What should be used as a ball marker? Ideally you should use a small, flat object such as a coin. Many golfers also use items specifically manufactured for this purpose and that might carry a golf company logo or the name of a favorite golf course. (For more about what's appropriate to use as a ball marker, see Do the Rules Specify What Should — or Shouldn't — Be Used for a Ball Marker?) In this sense, a ball marker is one of the smallest pieces of equipment in golf. "An artificial object when used to mark the spot of a ball to be lifted, such as a tee, a coin, an object made to be a ball-marker or another small piece of equipment." Note that in the Official Rules of Golf, the term is hyphenated: ball-marker. Spelling it as one word — ballmarker — is also common. Rule 14 addresses the use of ball markers when lifting and replacing golf balls. The term "ball marker" might also be used when discussing devices that help golfers add an identifying mark or pattern onto their golf balls, or draw a straight line on a golf ball to aid with alignment. The Rules of Golf require golfers, before teeing off on the first hole, to add an ID mark of some sort to their golf balls. It can be anything — a dot or series of dots, the golfer's initials or some more elaborate design. Golf ball markers used for this purpose are typically molds into which a ball fits; the golfer then stencils in a pattern or design. Of course, if you're just marking the ball with your initials, you don't need a golf ball marker of this sort. But some golfers like to get a little bit fancier, and this type of golf ball marker is for them. Do You Know What a Forecaddie Is and What the Duties of One Are?